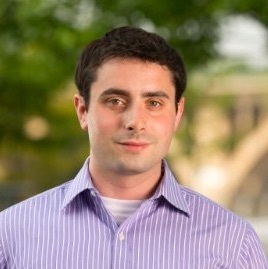 Graham Galka is the Vice President of Strategy and Growth at Privia Health. He joined Privia in 2012 as the head of the New Product Development team. He serves as an internal strategy consultant and entrepreneur within Privia, working closely with senior leadership to assess, plan, and execute on new and innovative growth opportunities for the company. Graham joined Privia from The Advisory Board Company, where he served in business development, strategy, and new product development roles. During his time at The Advisory Board Company, he helped lead the launch of several new offerings in the revenue cycle and physician practice management space, contributing to more than $25 million in new business under contract during his tenure. Prior to joining The Advisory Board Company, Graham started his first company, a retail services business in the health and wellness space, while pursuing his undergraduate studies full-time at The George Washington University. As an undergrad, Graham grew the business for several years before ultimately selling to an investor group prior to graduation. Graham earned his bachelor’s degree in International Affairs from GWU and is an active member of the Washington, D.C., community, having most recently served two terms on a locally elected city advisory body.